I just—today—turned in a manuscript for a new Christmas book! And I’m going to have to wait a whole year before I get to hold it in my hands. 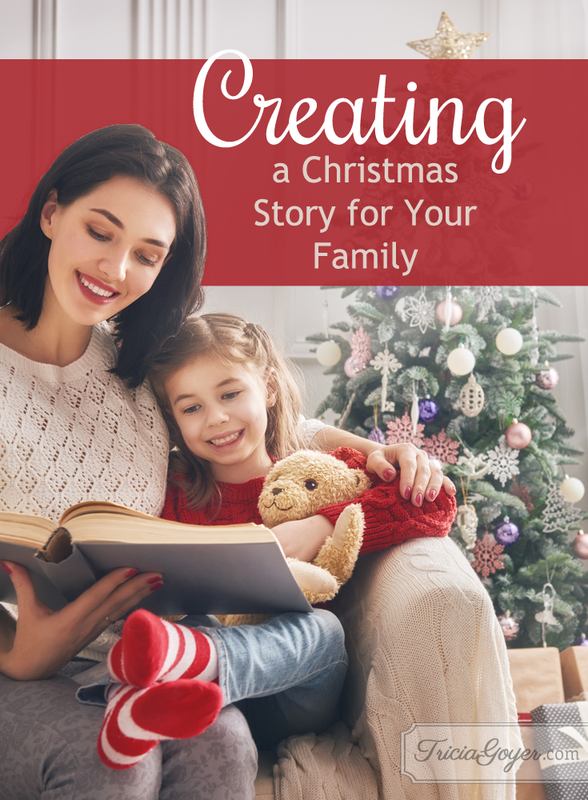 But you don’t have to be a professional author to create a Christmas story for your family—and you certainly don’t have to take a whole year to make it happen! One year, we were at an extended family Christmas when the room grew quiet, and all eyes landed on my sister-in-law. She began to read from a tattered, Christmas-paper wrapped cover with a cotton-ball Santa on the front. The sweet story told of a family who was having a hard time one Christmas. And when she finished reading, she revealed that it was a story my husband had written decades ago in school. That book is now displayed in our house every Christmas so that our sons can read their dad’s childhood Christmas story. 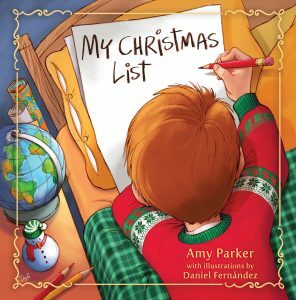 So if you’re looking for a priceless Christmas gift that will be treasured for generations, here are a few tips—from one author to another—to create your own Christmas story for your family. What kind of story would be most valued by your family? What type of storytelling would put your natural gifts into action? Maybe it’s a fictional tale that reminds us of the true spirit of Christmas. Perhaps it’s the story of the Nativity with your own illustrations. Maybe it’s an ancestral story of your family’s first Christmas in the United States. Or maybe it’s a family recipe with the story behind it. (You’ll get super-extra-bonus points if the story is served with a side of Grandma’s Carrot Cake!) We are all gifted storytellers—we just use different gifts to tell our stories. Find yours. Call Grandma and ask for her side of the story. Re-read Luke 2 for any details you may have missed. Search for photos or illustrations from the time period in which your story takes place. You’ll find all kinds of details that you can use to build into your story and bring it to life. Be sure to add sensory detail by thinking about how something would feel, taste, smell, sound, and look (of course). “A sweet, cinnamon-y scent wafted down the hallway,” or “an icy, feathery snowflake cooled the tip of my tongue.” Those kinds of details will help bring your readers into the story by letting them experience the moment for themselves. Even though I’m usually only writing the words, I love the creativity of crafting an entire storybook. When making a book of recipes for my husband one year, I laminated the cover (printed cardstock) and sewed the pages down the middle (embroidery floss will do) for a sturdy binding. Chances are you have everything you need around the house to craft and bind your own beautiful storybook. For me, the most valuable part of a good story is the family I share it with. So, don’t let them rip the wrapping and run. Settle in and snuggle in. Relish the story together. And let the sharing of this story be the beginning of a new one together. Whatever your story looks like this Christmas, I pray that it is one filled with love and memories that will forever tell the story of your own special family. 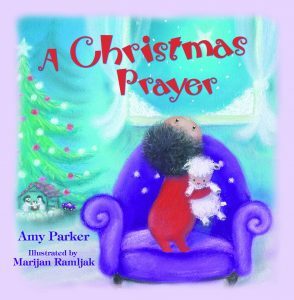 Amy has written and co-written more than thirty books for children, teens, and adults, with over a million copies sold. 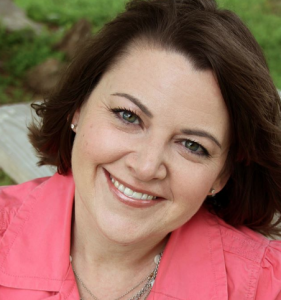 She has collaborated with authors ranging from New York Times bestsellers to her very own son. Two of these collaborations—Firebird and Courageous Teens—are recipients of Christian Retailing’s Best Awards. But Amy’s greatest reward is being a wife to Daniel and a mom to their amazing sons, Michael and Ethan. Visit Amy at her website, Facebook, and Twitter to learn more.